Uganda for many years, has faced the challenge of having a high percentage of the population living with HIV/AIDS. However, according to the World Health Organization, the country has made recent progress. The numbers of new infections in men and women dropped from 135,000 in 2010 to around 60,000 by 2016. Among children, the number of new infections dropped from 26,000 in 2010 to 4,000 in 2016. From the 1.4 million people living with HIV, 1,041,000 people are enlisted with care and 980,954 have Antiretroviral Therapy. With these positive numbers, Yoweri Museveni, Uganda's president, recently launched a campaign to eradicate the virus in the country by 2030. Organizations like AIDS Resistance Trust (ART), are laying the foundation in this ongoing battle. Operating in the districts of Kapchorwa, Kween, and Bukwo, known also as the Sebei sub-region that covers an estimated population of almost 280,000 people, the organization offers HIV/AIDS prevention training to vulnerable groups. Not only providing prevention, they offer care and support to those affected by the virus. ART was founded in 2008 by a group of five professionals who worried about the impact of the disease in these communities. A high number of children that are left as orphans is just one result of the virus's presence in the country. Some are left with grandparents, but they might not be capable of giving proper care. In many cases, these children may have to drop out of school or even die at a young age. ART has projects to support these infants and children, training them in school programs for vocational skills. Currently, the organization is looking for greater support, so they may build new classrooms, create a library, and to provide the children with shoes and free meals. 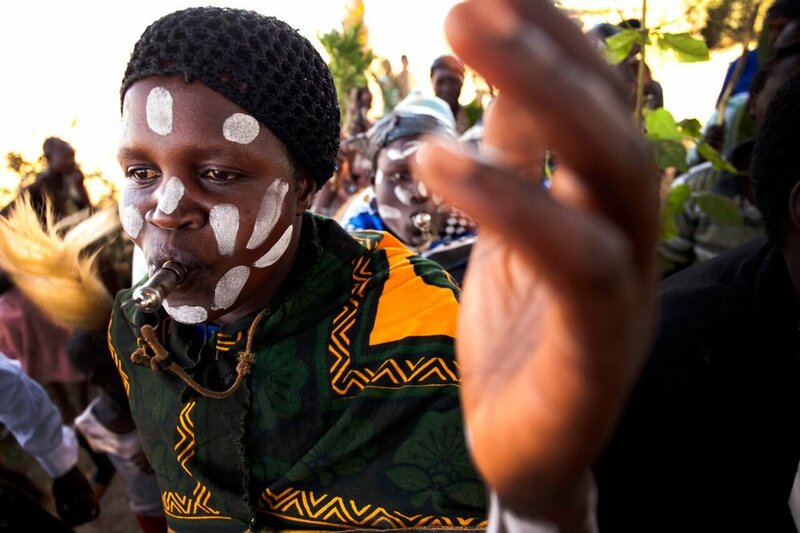 The women of Uganda also face human rights challenges, dealing with domestic violence, teenage pregnancy, property grabbing, and Female Genital Mutilation (FGM), among others. ART tries to facilitate a dialogue within the community, advocating against the violation of women's rights, and also supporting women with Income Generating Activities (IGAs) such as tractors and grinding mills. "I have five daughters and four sons. My husband died at the beginning of this year. A week after the burial, my 27-year-old stepson came to my house and asked me to pack and go back to my father's home with my children. He said nothing belonged to me since my husband had passed away. He said there was no reason for me to stay on that land," said Esther Kwilat on ART's website. Photographer Caitlin Healy went to Uganda to document the work of ART. For her, media is a way to empower communities. "Through my long form documentary work I’ve learned two important truths: women’s rights are human rights and women’s health issues are community health issues (...) Media was particularly important to the women because they wanted to be heard. It not only creates a record but offers them a platform to share their stories", Healy said. She also explained that regarding the women she met, their children were the number one motivation to become economically empowered. "There’s an energy in those mountains, a palpable optimism among the women when they gather. At the end of the day we were a group of women sitting under a tree, trading stories, finding common ground, gathering strength from each other", she said. If you want to know more about the organization or show your support, click here.